KATHMANDU, Jan 3: With just a year remaining till the January 2018 deadline for conducting three sets of elections, the Election Commission (EC) is not “well-prepared” for undertaking the task when it comes. 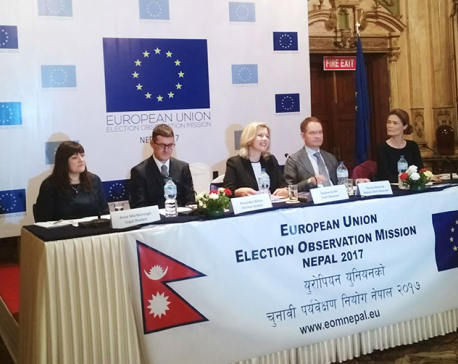 EC officials and election experts said that while the commission has failed to carry out several necessary tasks due to confusion at the political level, the EC also has left several other important tasks on the back burner. Experts said the EC should come up with a time-bound action plan, study the constituencies and map out the polling centers so that it will be ready to swing into action whenever the government announces the poll date or dates. The pre-election preparations, according to a member of the election body, are greatly hampered by the government’s delay in readying the election-related laws and clearing the political hurdles. They also said that the delay in appointing all the election commissioners has affected regular business. The EC should have five commissioners including a chief commissioner, but there are only two commissioners at present--Chief Commissioner Yadav and Commissioner Ila Sharma. EC officials said lack of clarity at the political level and absence of electoral laws have confined the EC to just updating the voter rolls. It has begun voter roll updates in all 75 districts but other important tasks like working out a time-bound and detailed action plan remain to be expedited. 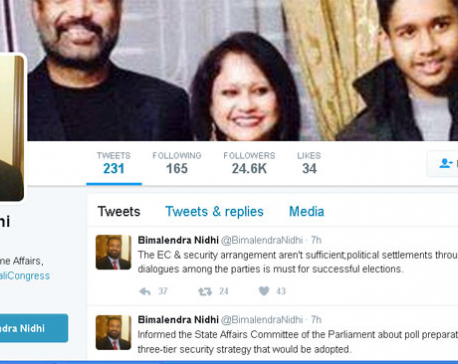 The EC plans to complete the voter rolls update by the end of January and it has no other immediate plans after that. Assessing the logistical and human resource needs and carrying out internal reviews, which are equally important, remain pending. “Micro-level preparations and detailed time-bound plans are not in place as it is not clear which election is taking place first,” said Surya Prasad Sharma, spokesperson at the EC. The Constitution has made it mandatory to hold three sets of elections - federal, provincial and local - but the political parties are yet to decide which one they want to hold first. Experts suggest that when the political leadership is divided and confused the EC itself should be able to guide them as to which election should come first. An action plan will also inform voters and the international community regarding the possibility of elections. Meanwhile, EC officials are worried whether the existing printing machines can print ballot papers for local elections, given the large number of parties that may be contesting elections. CEC Yadav estimates that the ballot paper will be more than three feet long even if just 50 parties contest the elections. The EC, however, has not yet started any discussions whether to purchase a new machine or find alternatives for printing the ballots. A public procurement process may take a longish time. Though the constitution has set January 2018 as the election deadline, in practice elections are held only during certain months. 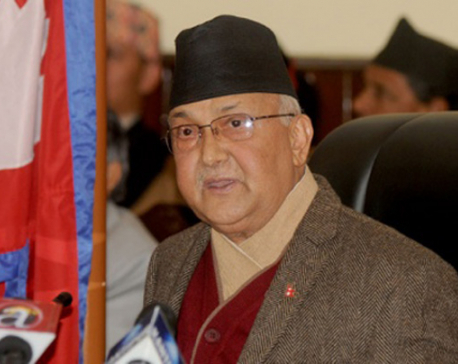 Since Nepal’s climatic conditions offer two windows for elections-spring and autumn-the first election needs to be completed before mid-June if the two remaining elections are to be held before the constitutional deadline. Preparations for the first election need to be completed months before the poll date. Experts believed that pre-election preparations are more important this time because the EC is holding elections for the first time under the new federal setup. “The changed context makes it necessary for the EC to make public its needs, plans and efforts in time for conducting the polls in a free and fair manner,” said Uprety.